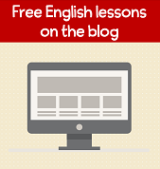 Confused about when to use the present perfect vs simple past? It can be confusing to learners so I've created an info-graphic about weight loss that can help you understand some of the differences. First of all both of these tenses talk about the past. The simple past is more specific about something happening in the past at a specific time or when there is no result in the present time. It happened and it's finished. We often use adverbs like last week, yesterday, five years ago, etc. to show that the time finished. I went to Mexico for my 30th birthday. I ate the entire pizza and it was delicious. The present perfect is concerned with actions that are not finished (they continue or we may do them again in our lives) or actions that have finished but have a result in the present. I've read the first chapter of the book so far. I'm afraid I've upset your mother (and now she's not talking to me). Have you seen Mary today? I've written pages on how to form the simple past and use the simple past as well as pages on how to form the present perfect and uses of the present perfect. Check them out by clicking those links.